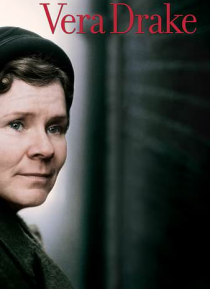 Vera Drake is a beloved wife and mother who is completely devoted to her family. But Vera also secretly visits women to perform abortions. When tragedy befalls on a client of Vera's, the truth comes out, and Vera's world and family life rapidly unravel.